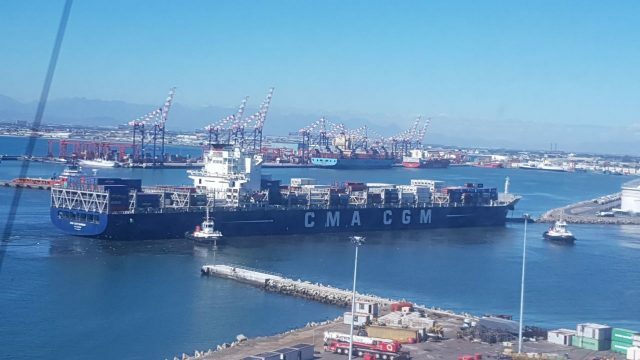 On April 3, the 335 meter long, 101383 dwt container ship CMA CGM Samson ran aground in Cape Town, South Africa. 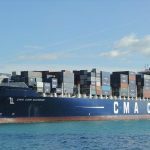 The CGMA CGM Samson had departed from Singapore with over 1,000 containers on board. After stopping at Reunion Island, the vessel proceeded on its voyage to Cape Town. 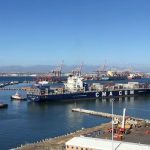 As it entered the harbour in Cape Town and headed towards the container terminal, the bow of the boxship struck the south breakwater. 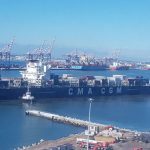 Three tugs were dispatched and were able to refloat the CMA CGM Samson. The tugs escorted the boxship to its berth where it was surveyed for damage. No reports of injuries or pollution released. Reports state the CMA CGM Samson may have run aground due to entering the harbour at low tide.